Ever since finishing Masque of the Red Death, I've been itching for this one. When the exquisite cover was revealed, it got even worse. I can't wait to find out what's going ot happen to Araby. And I want more of Will ^^' Basically I just want to throw myself into that intriguing world and gorgeous prose again. You can read my review of the first book here. Have you read Masque of the Red Death? And what are you waiting for this week? I still haven't read Masque of the Red Death. I still have to read Masque and I have no idea what I'm waiting for. I usually read those famous books in our bookish world. 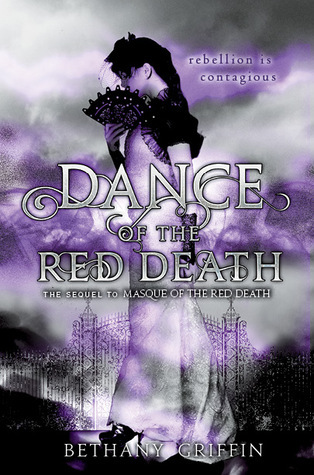 I have Masque of the Red Death here, not read it yet, this cover looks gorgeous!! This is a popular pick! I still need to read the first one. At least I won't have a long wait for the sequel. Love the covers! I really need to read the first one. Nice pick.. I still haven't read Masque of the Red Death, but I heard it's amazing. Must read soon. Great pick! Eeeek great pick, I'm waiting for Masque to show up in my mailbox any day now: excited :D Thanks for sharing! I totally love this cover!!! I love this cover (and the first one's too), but I'm still unsure if I will pick up this follow-up. Hope you enjoy it when you get it! I still have to read The Masque of the Red Death. These covers are amazing! Thanks for sharing and stopping by my WoW!